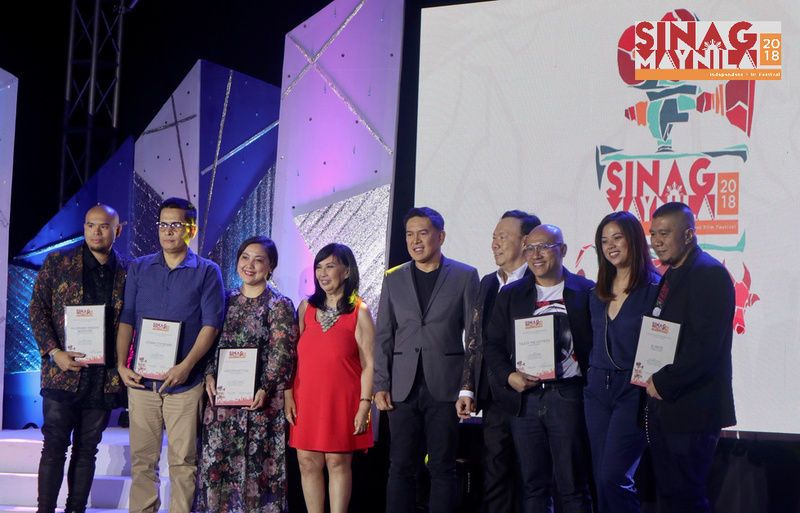 The Sinag Maynila 2018 Gabi ng Parangal ceremonies announced its winners on March 11, 2018 at Conrad Hotel Manila. Joselito Altarejos' Tale of the Lost Boys won the coveted Best Picture trophy, including the Sinag Maynila Box Office Award (for garnering the highest ticket sales), Best Screenplay for May de los Santos, and a back-to-back Best Editing win for Diego Marx Dobles, who won for Kristo last year. This year, each of the five full length finalists won at least won award. 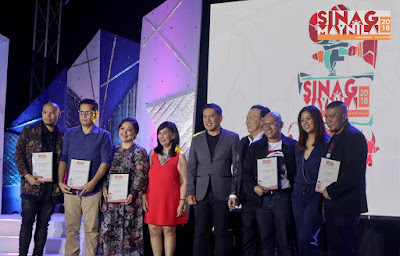 The awarding ceremony was hosted by Andre Co and Cerah Hernandez, with performances by Christian Bautista and The Company. The Sinag Maynila Film Festival 2018 will run until March 15 in selected eight (8) SM Cinemas. Watch the official telecast of the Sinag Maynila 2018 Gabi ng Parangal on Jack TV, on March 19 at 8:00PM.